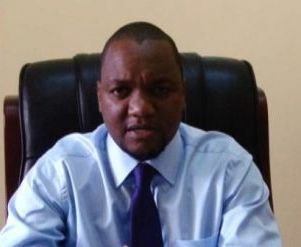 GOVERNMENT has instructed law enforcement agencies to thoroughly investigate and arrest fundamentalists threatening to kill Southern Province Minister Miles Sampa. The fight between Miles Sampa and southerners started when Sampa told parliament that Tongas should marry Bembas for one of them to become president. Sampa was then minister for Lusaka province but was immediately transferred to Southern province after issuing the statement against Southerners. Acting Minister of Information, Emmanuel Chenda said at a press briefing in Lusaka yesterday that Government finds the threats unacceptable. “Government finds the threats on Honourable Sampa unhelpful, retrogressive especially when you look at the strides this country has scored over the years, with regard to national unity and sovereignty. We will ensure that he (Mr Sampa) is protected to enable him to discharge his national duties in a conducive and peaceful environment,” he said. “As a duly elected Government, we have a duty to safeguard the unity and peace this country has enjoyed over the years. Therefore, any activity away from this shall be treated as a subversive act and the necessary laws shall be applied on the perpetrators,” Mr Chenda said. He said ministerial jobs are a national responsibility. “Ethnicity should never be a pre-requisite to one’s suitability for any such appointment or holding of these portfolios,” Mr Chenda said. Mr Chenda said service to Zambians comes ahead of any tribal, political or religious inclinations. This is according to the Daily Mail; a government owned and heavily controlled newspaper. But on Sunday, the Catholic Church through its Bishops said advised president Sata to avoid regionalism and nepotism in his regime. The 14 Bishops who included Medardo Cardinal Mazombwe and Ignatius Chama said there is a general perception in the country that from the time the new Government was ushered into power, a number of appointments to public office have unfortunately been tainted with nepotism and regionalism. It is our view that appointments to the civil service and diplomatic postings should be transparent, devoid of political patronage, nepotism and regionalism. Therefore, if this is not addressed, it has a demoralising effect on career diplomats and professionalism in civil service. We urge the Republican President to be more inclusive when making ministerial and other appointments to public office. This nation has enjoyed relative peace over the years because of the ‘One Zambia, One Nation’ motto. All citizens must feel a sense of belonging to this nation.